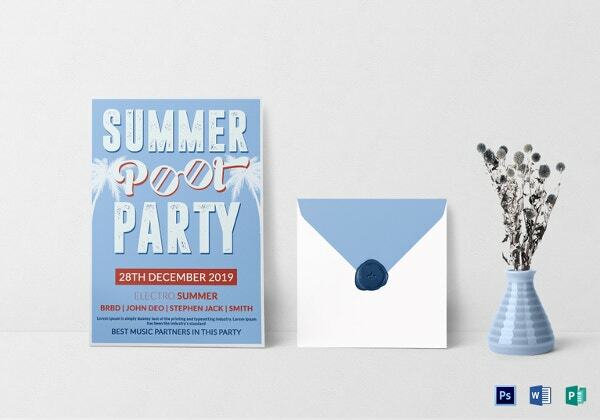 Are you throwing a pool party at your place with an icy reception this new year? Then how are you going to trumpet it to your friends and family? Don’t go for flyers with indecent prices. 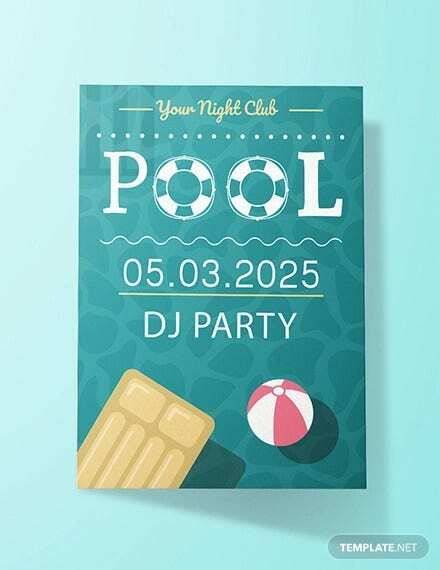 Now you can prepare your pool party flyers according to your information. 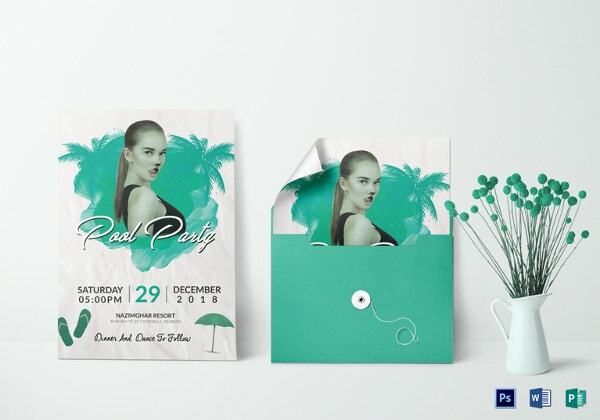 With these flyers, your party will be more festive. 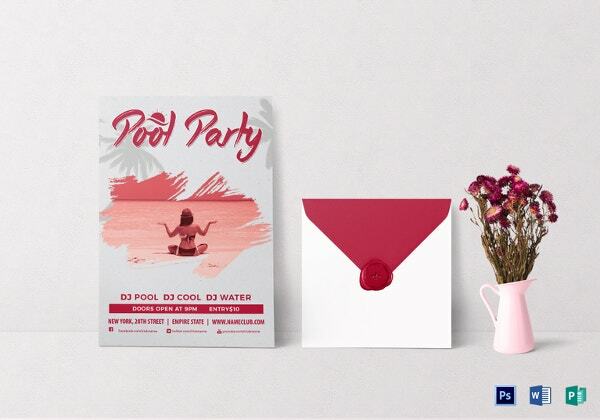 Deploy your uninhibited parties with these flyers. 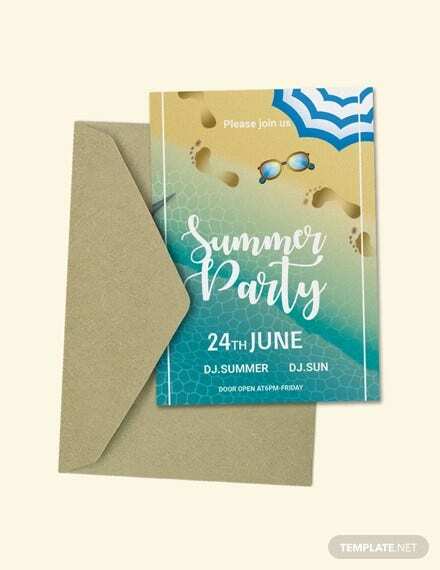 If you are a flyer designer, you can create a label for your works with these samples. 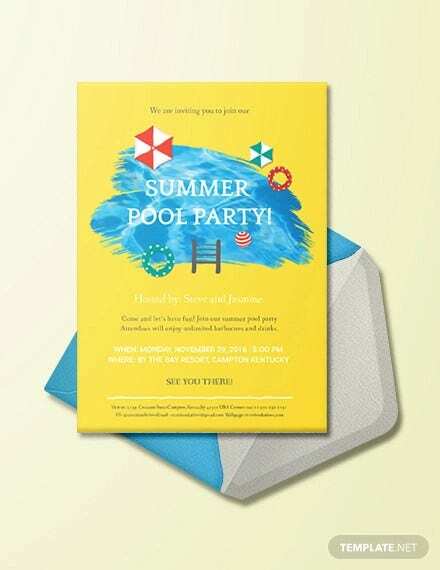 Are you looking for a solid and visually legible design for your pool party? This comes exclusively to your eyes. This one leaflet will relieve your nearer and dearer from many tensions. At least temporarily. You can send this flyer through the mail also. It will receive the most number of votes. We vow you that. Now the readers will not give such a desperate reaction to reading this. Attention everybody! 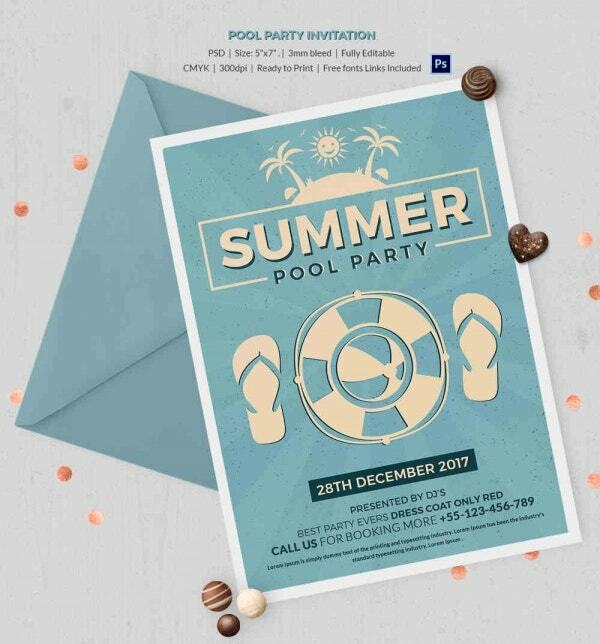 The most exclusive pool party flyer is here to woo one and all. 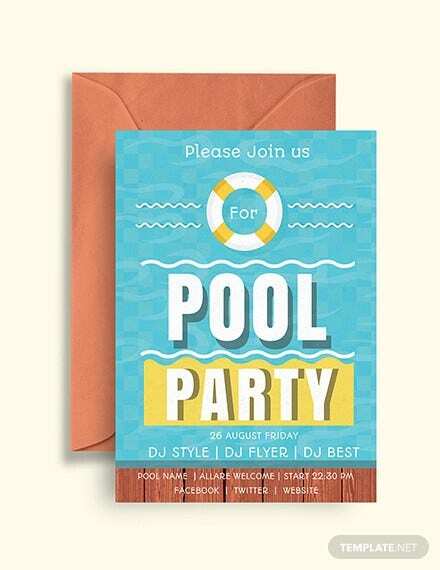 Now you need not ask for beautiful girls to come for a photoshoot to create your pool party flyer.